Florida Gators vs Arkansas Razorbacks in the Swamp. October 5th, 2013. Florida Gators vs Arkansas Razorbacks. Gainesville, FL. October th, 2013. 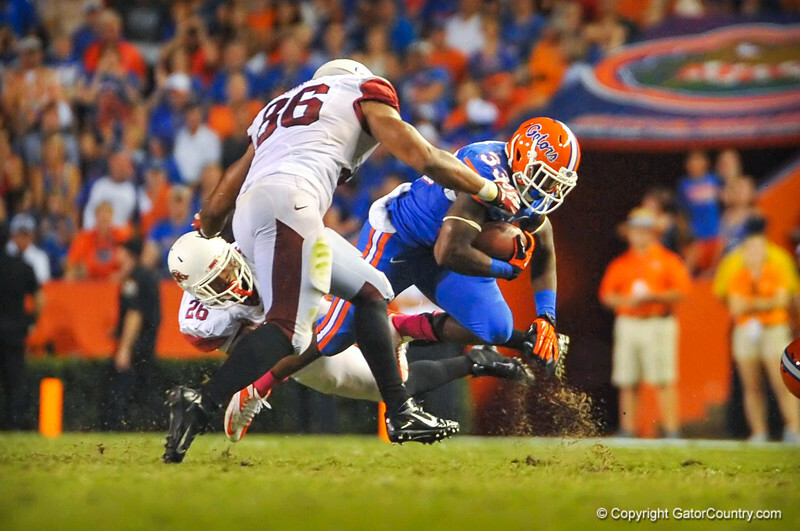 Florida Gator running back Mack Brown (33) rushes and is tackled. Florida vs Arkansas; Gainesville, FL; Oct 5th, 2013.